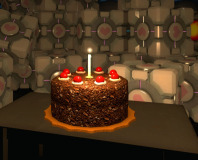 Magrunner borrows so much from Portal it's a cake and a computer short of being a sequel. 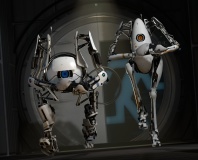 Conceptually, structurally, even aesthetically similarities between Valve's masterpiece and Frogwares' newest title abound, from the test-chambers that start off sparkly and new and become gradually more run down, to the way it sandwiches snippets of storytelling between the increasingly complex series of puzzles it requires you to solve. In a way it's both a clever and brave move. 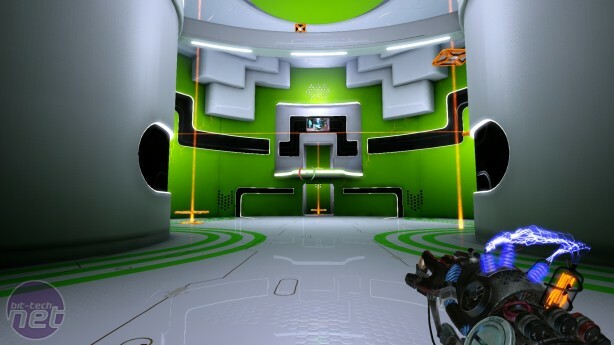 There's plenty of room for another game like Portal, but nothing to fill that gap, and Frogwares ran the risk of seriously embarrassing themselves riding so tightly on the back of Valve. 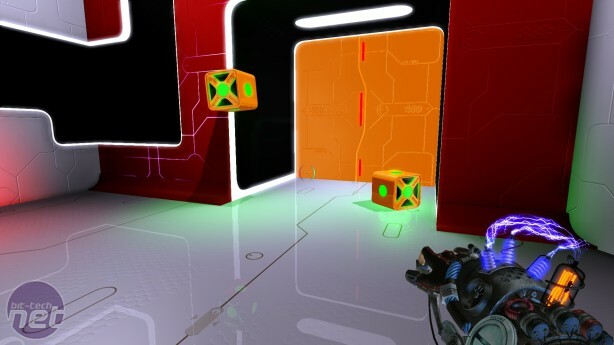 Fortunately, Magrunner is a robustly built if not exactly sharply refined doppelganger, and puts just enough of its own spin on the first-person puzzler to make it stand up on its own. Magrunner places you in the fall-proof shoes of Dax Ward, a young technical savant with that awful almost-but-not-quite shaved haircut that is so popular amongst male videogame protagonists these days, who has been enlisted in the Magrunner program. This is a three-month series of mental and physical challenges designed by a world-controlling corporation to find candidates suitable for dangerous space exploration missions intended to search for new forms of energy. 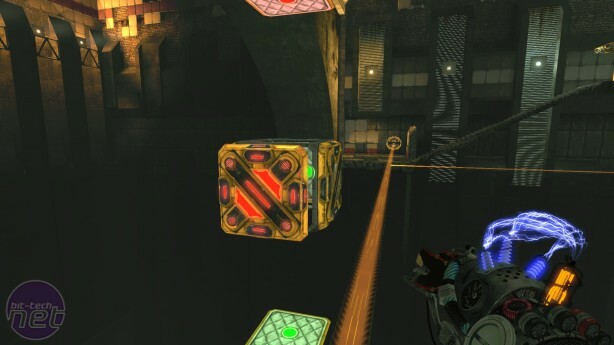 The world is not particularly original, but the back-story is surprisingly meaty given the game essentially boils down to moving blocks and platforms around to solve spatial conundrums. Meanwhile, the characters you interact with (mostly via hologram) throughout these trials vary substantially in their quality. By far the strongest is your adoptive father and mutant mentor Gamaji, who is cast perfectly and whose vocal delivery is excellent. The others are fairly stock, with the exception of the news reporter Cassandra who somehow manages to develop a weirdly intimate relationship with Dax over a period of eight hours via hologram. Then again, once you've been through what they go through, perhaps human bonds are a little easier to form. The Magrunner program takes place in a vast complex of test-chambers, and the first twenty-four hours is broadcast to the world. Everything is going swimmingly, until suddenly Cthulhu joins the party, drinks all the booze and throws up all over the universe. The combination of cyberpunk world-building with Lovecraftian horror may seem a little like mixing strawberries with stilton, but the developers pull it off surprisingly well. 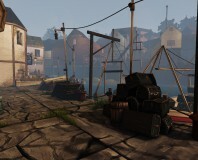 Frogwares certainly do a decent Cthulhu, although their portrayal of insanity is ridiculously pantomime. Moreover, while the blend is largely successful, there's a nagging feeling that the game would have been better off inventing its own sci-fi horror rather than borrowing one.